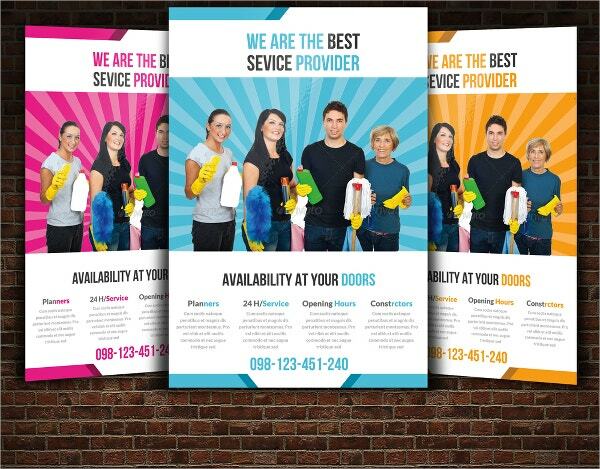 Nowadays, it’s important to find ways to promote your business in a creative way. 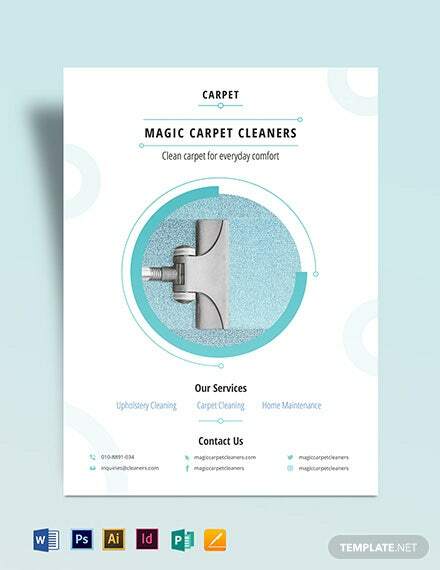 There are a lot of cleaning services out there and we believe that a good advertising starts with having exceptional flyer designs that say a lot about you and your cleaning service. 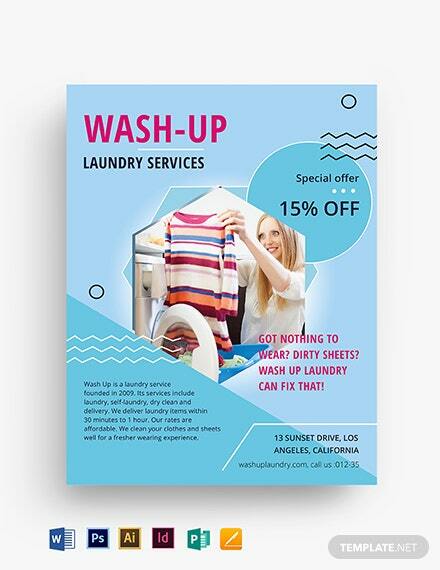 The first step in having an exceptional flyer is an eye-catching flyer template. 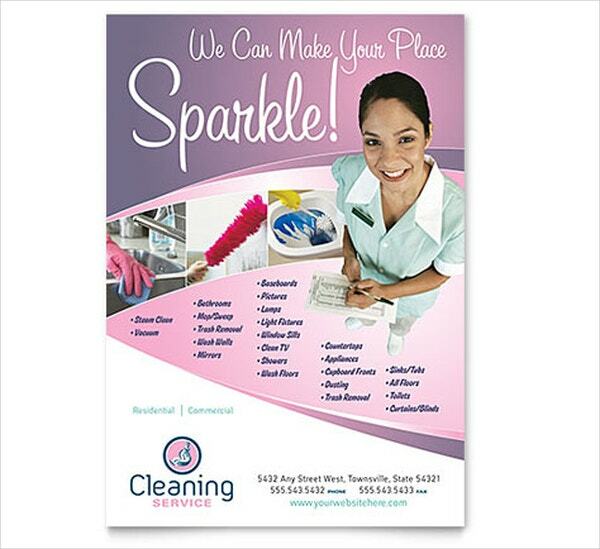 To help you with that, here is a list of ten cleaning service flyer templates just for you. 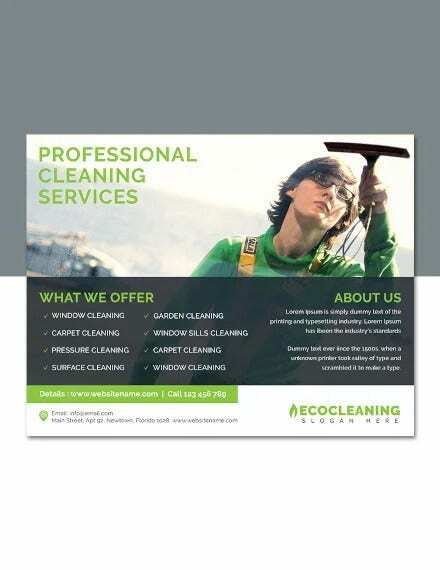 This Green cleaning service flyer template comes in two different colors which you can choose from: red and blue. 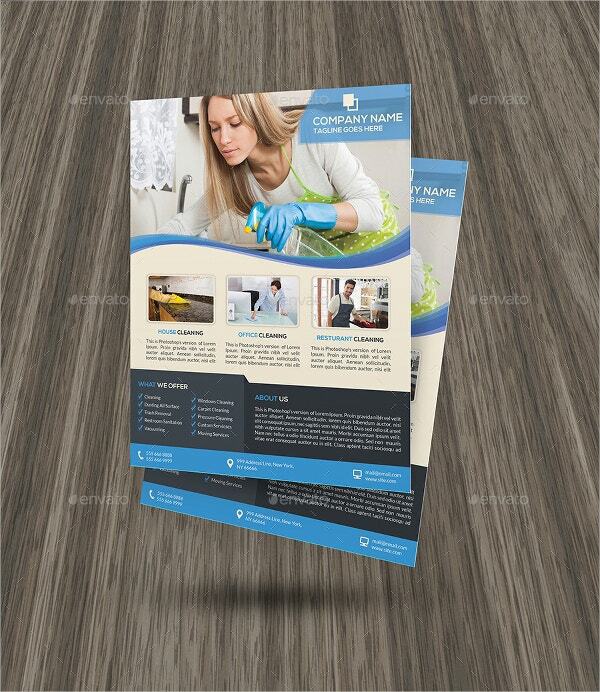 It includes 4 PSD files that are easy to edit and customize. 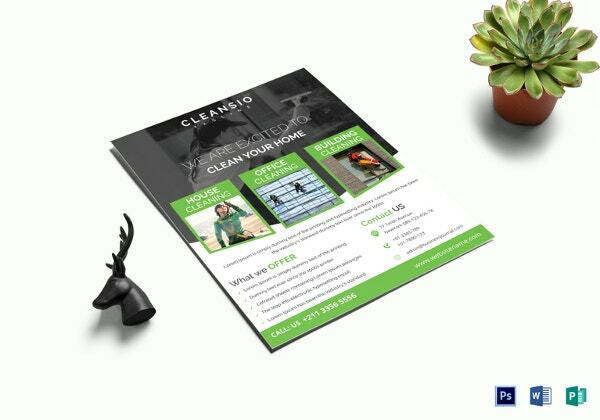 This House Cleaning Flyer Template is easy to edit and customize. 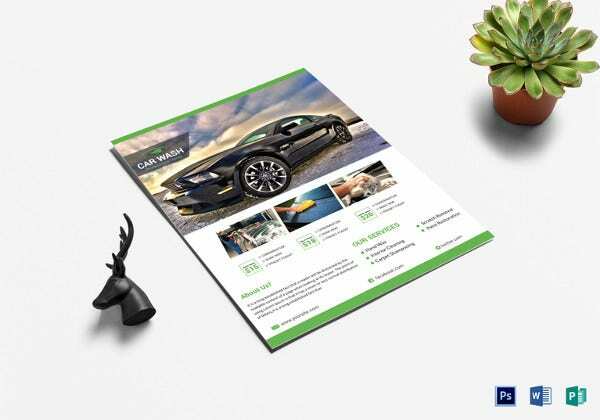 It is of minimal design, so the content will be the focus of your audience. 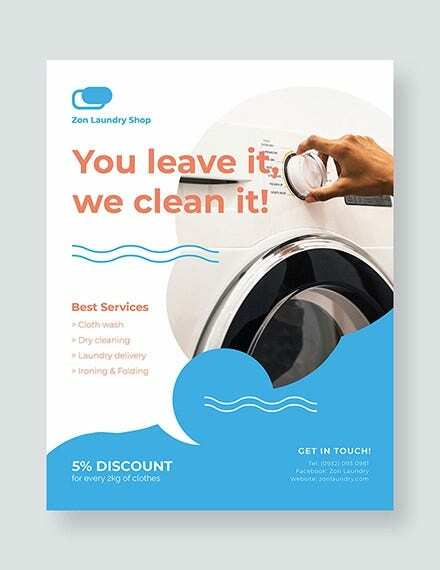 This flyer template comes in two PSD files. 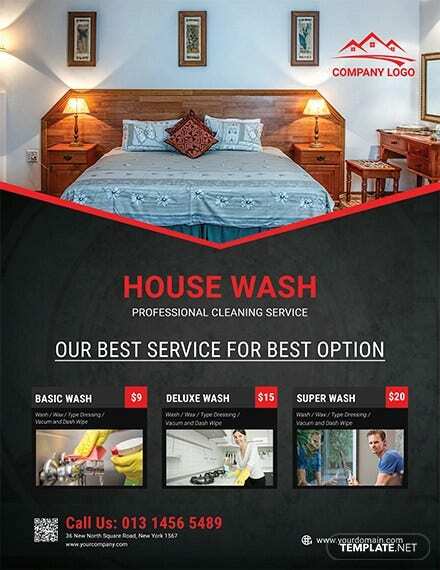 You can easily upload your own pictures and change the images via Smart Object. 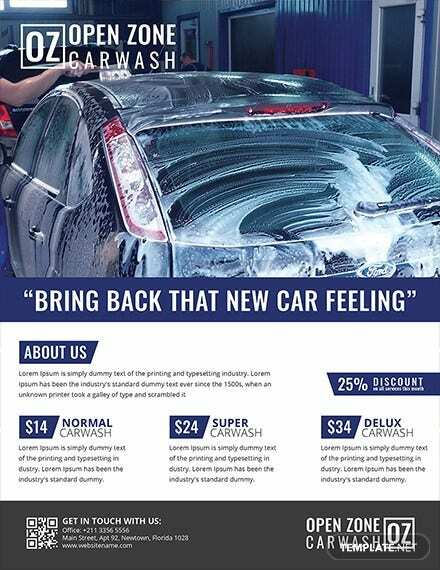 There’s plenty of room for images and text. 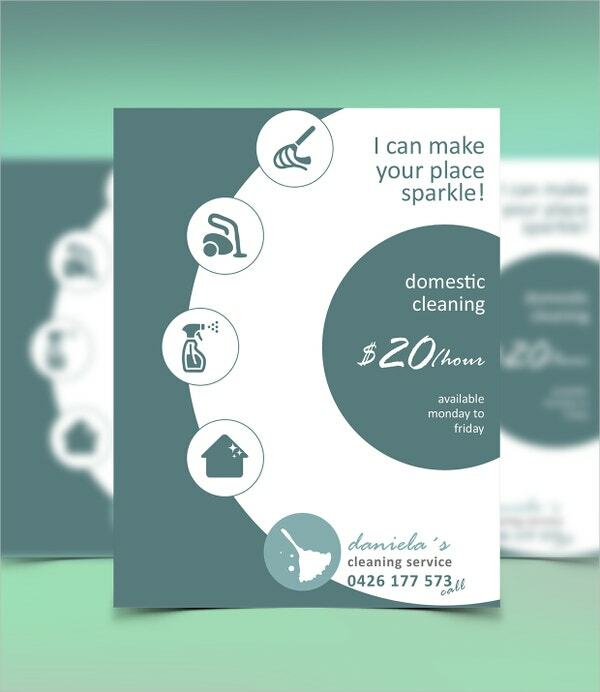 This domestic cleaning service flyer’s design is simple and minimalistic. 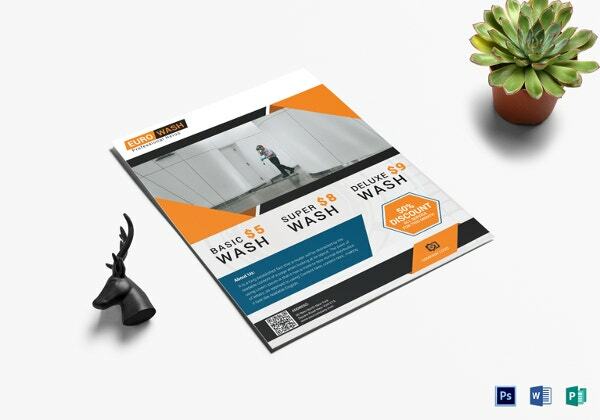 It has a neat and clean template design that will surely catch anyone’s attention. 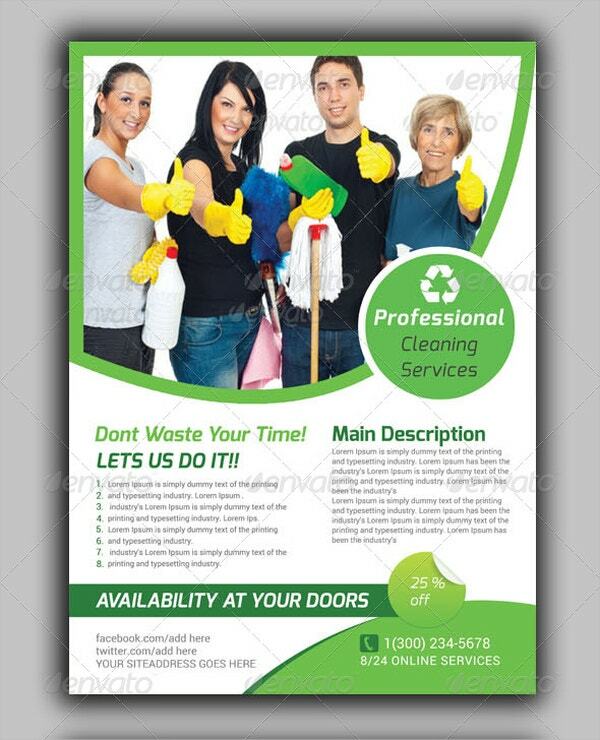 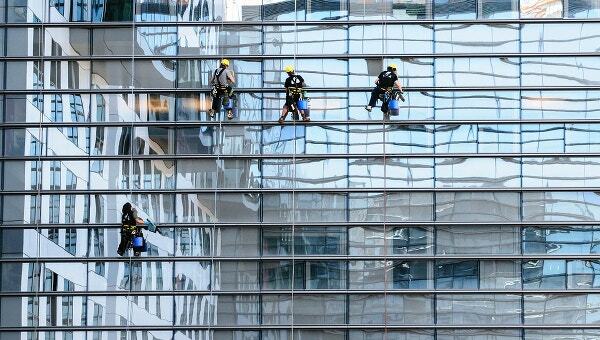 A clean flyer suggests an excellent cleaning service. 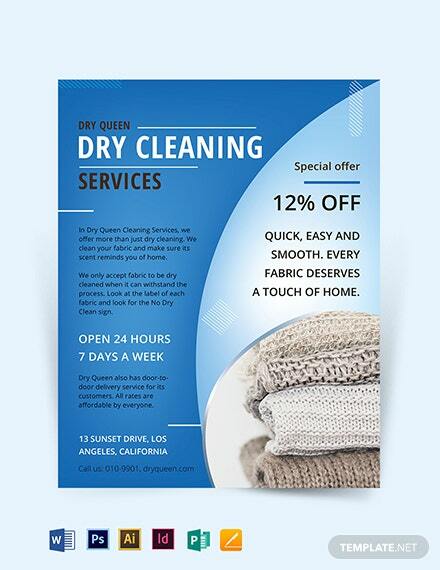 The modern design of this flyer template will make your clients read more about your services. 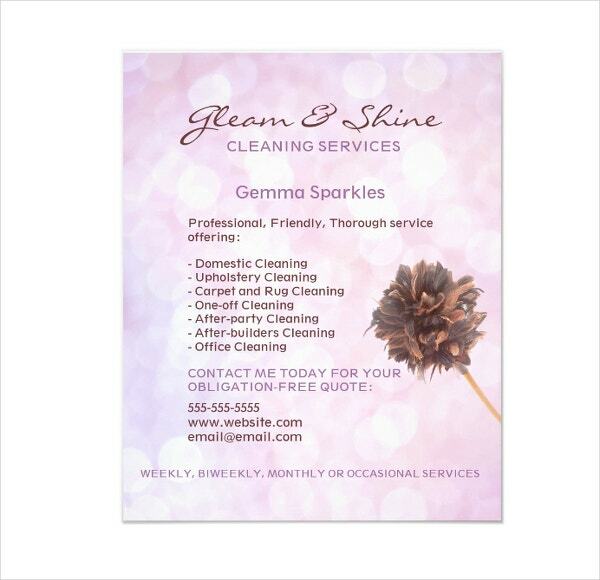 It comes with a horizontal, A4 size that is easy to edit. 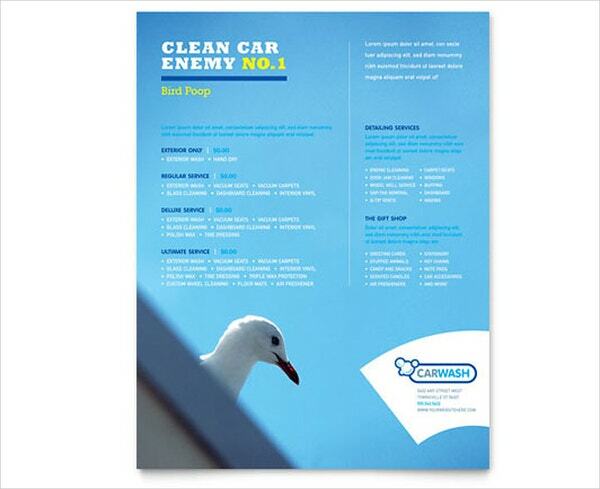 You can also see Car Wash Flyer Template. 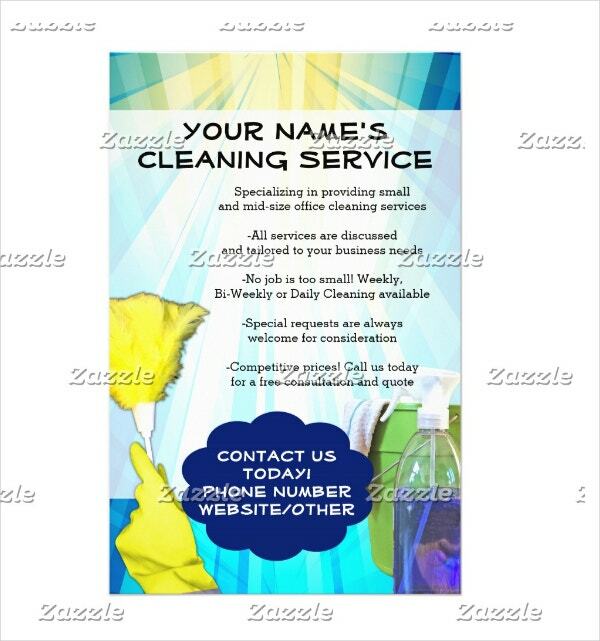 If you wish to use this template, be sure to download and install the font. 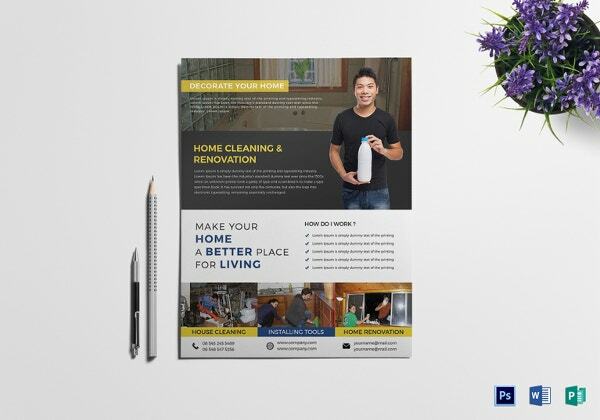 This template comes with a simple layout and editable text. 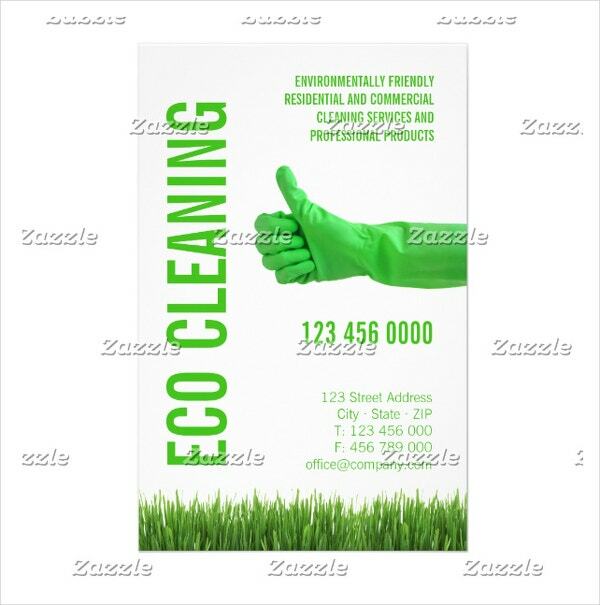 This Eco Cleaning Service Flyer Ad comes in bright hues that are cool and pleasing to the eyes. 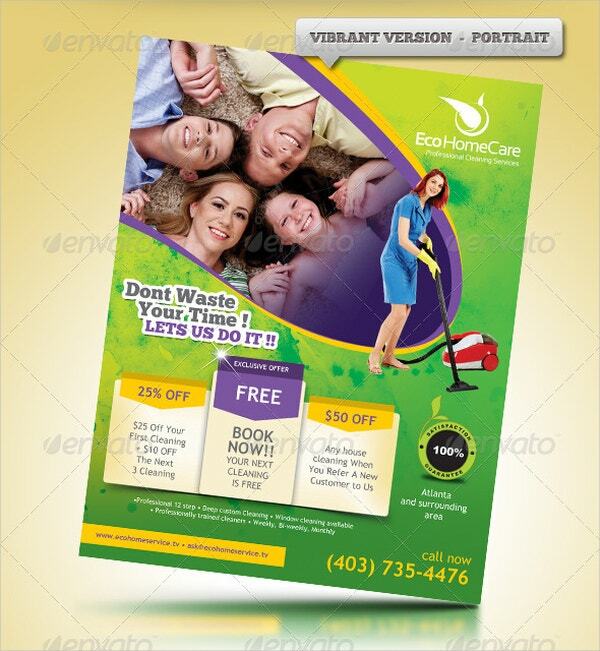 The color, text and images are very easy to edit and customize. 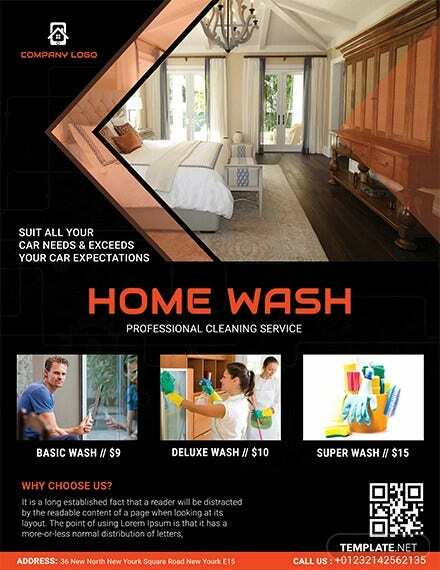 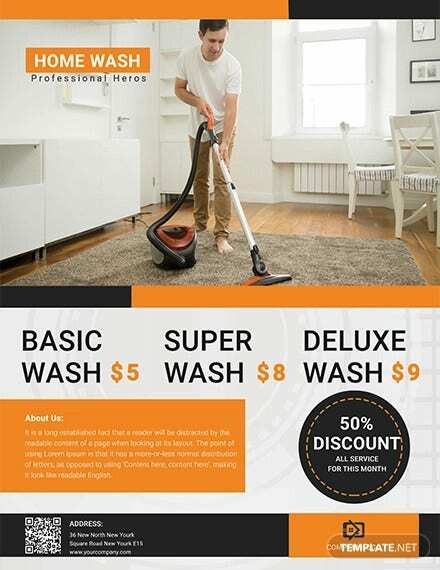 This Professional cleaning services flyer template has enough room for your main image and the text you want to include. 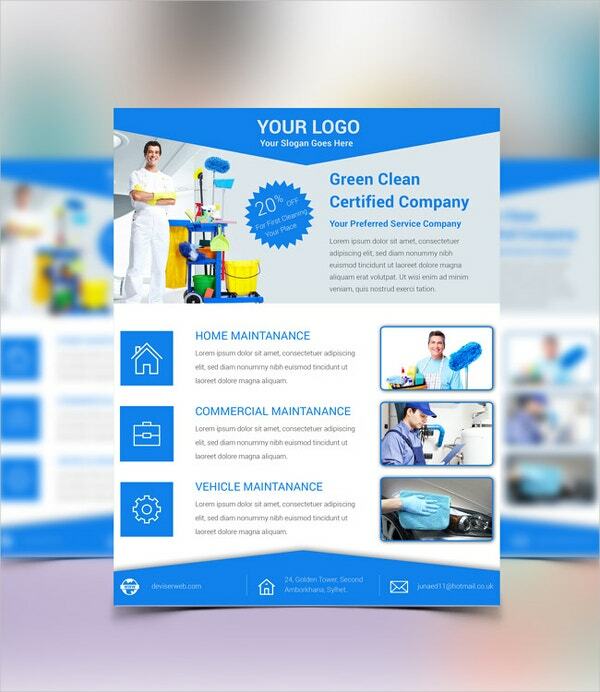 It has three PSD files with editable colors and text layers. 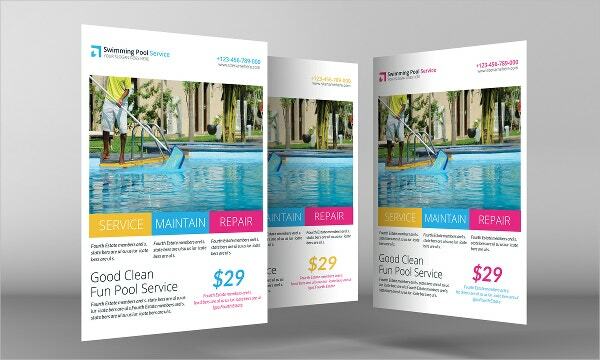 This flyer template is perfect for swimming pool services. 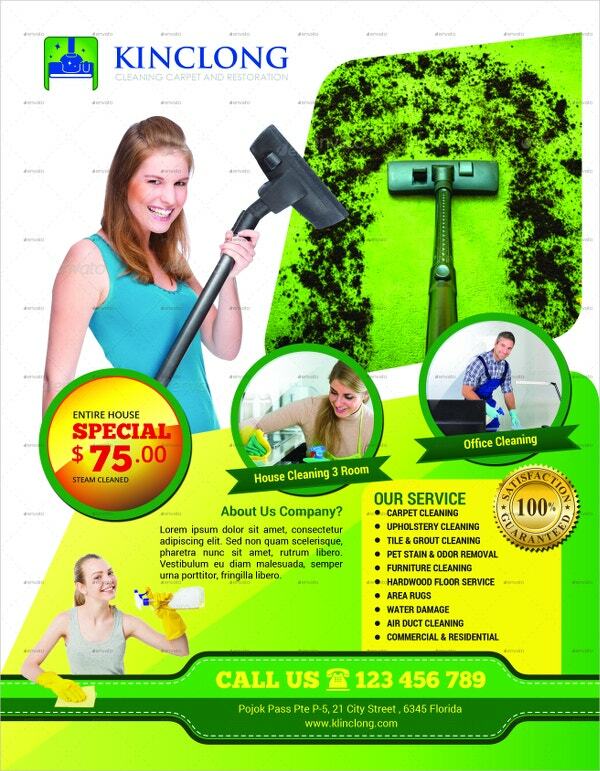 The three main colors are eye-catching. 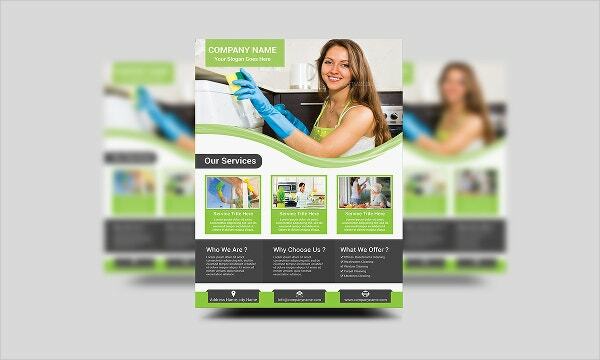 It includes free fonts and an editable, well-organized text layer. 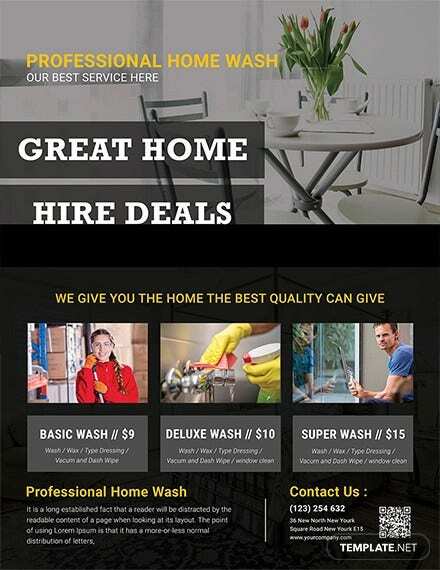 What more can you ask for! 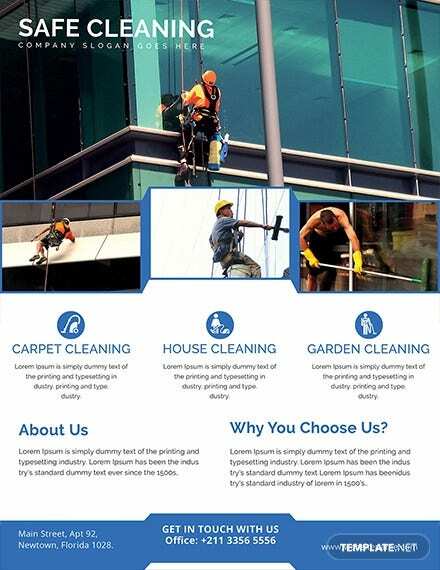 Every service needs a flyer. 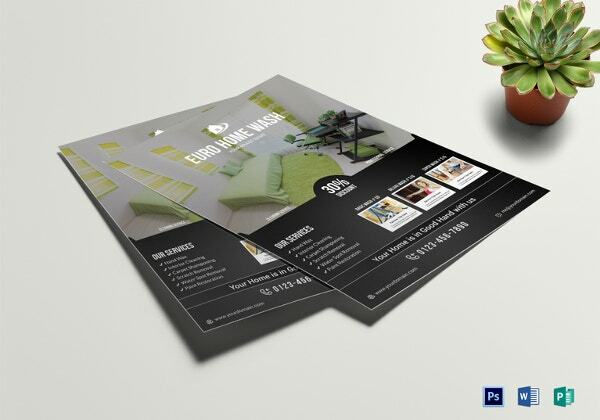 With the help of business flyers, your clients and audience will surely find more information about you, your business, and your services. 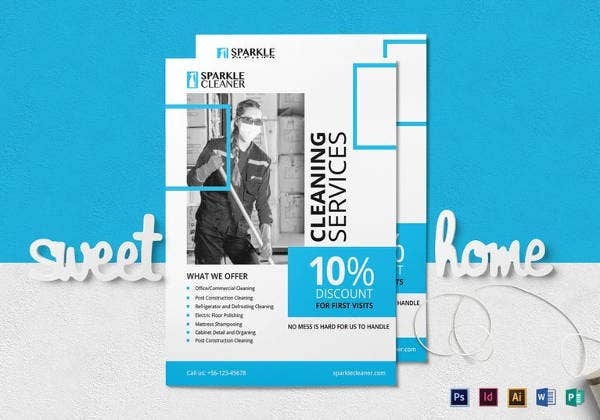 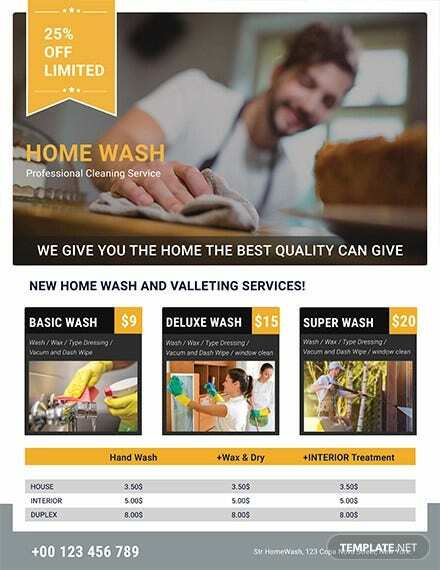 We hope that with these cleaning service flyer templates, your business will improve and bring smiles on other people’s faces. 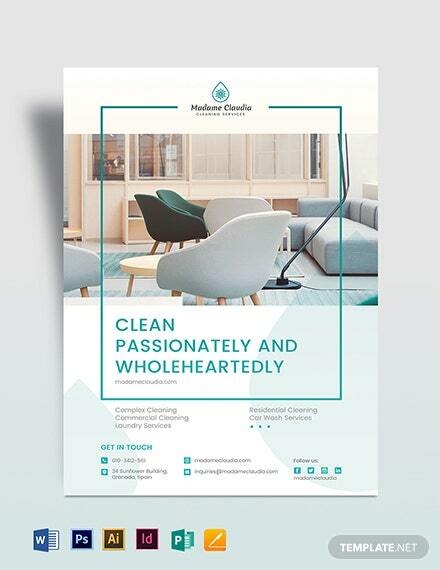 Happy template choosing and designing!